Whether you are moving to the area, looking for employment in the area, or are just curious about Phoenixville’s history, you can find many sources of information about Phoenixville in Phoenixville Public Library’s adult section and online. Here are some sources to get you started. Comprehensive local coverage of Phoenixville news and events, as well as business listings, discussions, announcements, photos, and videos, can be found online at Phoenixville Patch. Past articles can be searched, and viewers can sign up for the daily Patch e-mail newsletter. The Phoenix Reporter and Item (formerly The Phoenix) is the local weekly newspaper covering the area, also available online at www.phoenixvillenews.com and in digital edition. Look for the current issue on the newspaper stand in the magazine section. Back issues (up to one month) are stored on the shelves adjacent to the Information Desk in the Carnegie Room. Articles from the last several years of the newspaper can be searched and viewed at their website. For other notices of area educational, cultural and recreational activities and events, see the Phoenixville Chamber of Commerce’s Community Calendar. Be sure to check also the Library’s bulletin boards and literature display areas on each floor. For information about businesses in the Phoenixville area, the online company directory Reference USA is available from the Chester County Library System website. 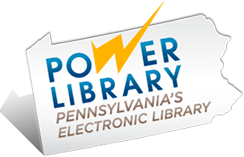 A Chester County Library System card will provide remote access to this database. Local population, housing, employment, income, health, and other demographic statistics are available in the Pennsylvania County Data Book: Chester County (R (Local History) 317.4813 P) or online at http://factfinder.census.gov. Contact information for Phoenixville Borough Council members and other local government information can be found at the Borough of Phoenixville’s official website. See www.chesco.org for official information on Chester County government and services. The Help Book (R (Local History) 361.0025 H or online) provides descriptions and contact information for a variety of area aid and service organizations. Also find Chester County health and human services online at www.referweb.net/chesco. A binder of Chester County health & human services resources is available at the Information Desk for use in-Library. The standard early history of Phoenixville is Annals of Phoenixville and its Vicinity: From the Settlement to the Year 1871 by Samuel Pennypacker (R (Local History) 974.813 P). This and other books of area history are available in the Local History Reference collection as well as in the circulating nonfiction collection under call number 974.813. Keep in mind that the Reference books may be used only in the Library. A photocopier is available. Pennypacker’s Annals and other local history resources may also be viewed or searched online in the HeritageQuest database, accessible in the Library or remotely with a library card. Many more sources of local history and genealogy may be found at the Historical Society of the Phoenixville Area, Main & Church Streets, Phoenixville.